BEST Instant Pot Cilantro Lime Rice Recipe! 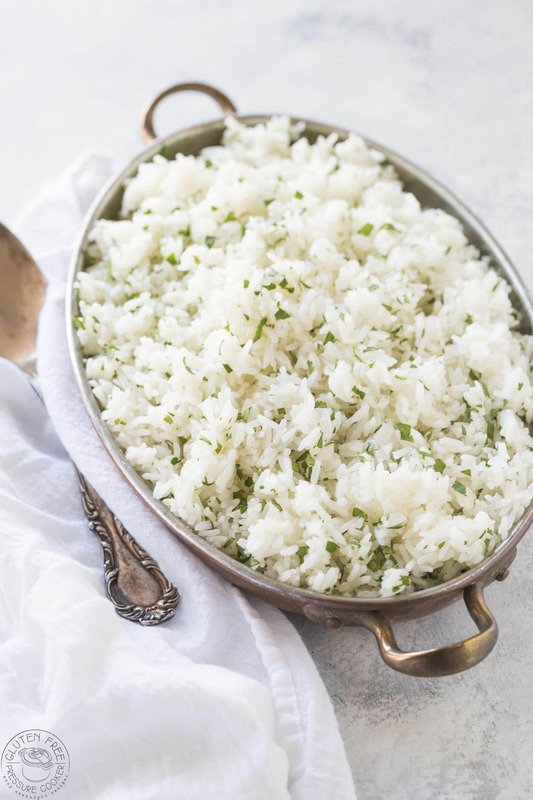 Instant Pot Cilantro Lime Rice is a breeze to make, your pressure cooker ensures that you can essentially ‘set it and forget it’ and it will cook while you get on with other things. 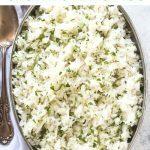 My recipe for Instant Pot Cilantro Lime Rice is based on the famous Chipotle Rice, so if you love that you’ll really enjoy this recipe! It’s a perfect side to serve with some of my other pressure cooker recipes including my Pressure Cooker Pulled Pork and my Pressure Cooker Chili Verde. Making rice in your instant pot or other pressure cooker is easy, so here are a few quick tips to keep you on the right track. 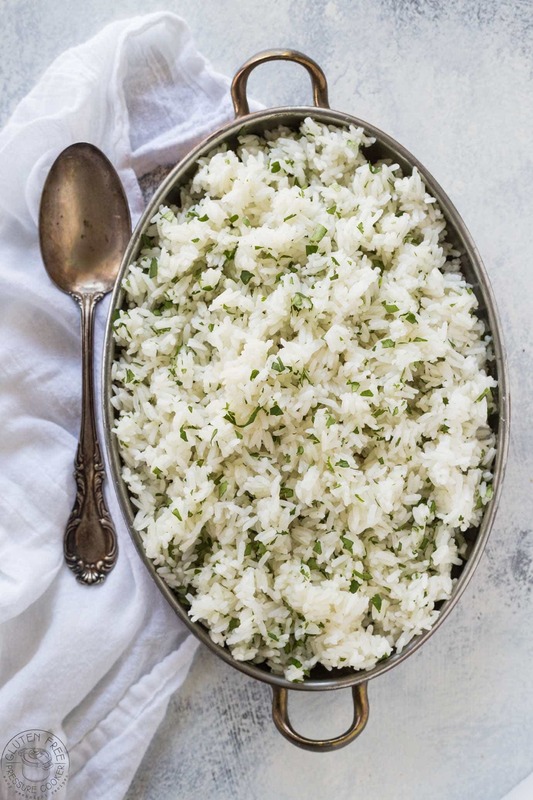 Use a 1 to 1 rice to water ratio in your pressure cooker and don’t soak your rice as this alters the cook time. 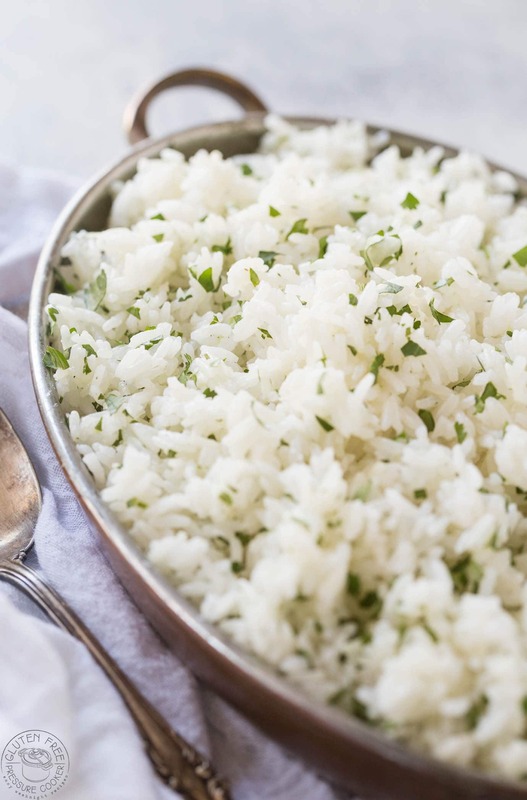 Is Cilantro Lime Rice Good for you? Cilantro lime rice is healthy and nutritious and you can easily make it with brown rice if you prefer. If you use fresh squeezed lemon and lime juice you’ll have plenty of vitamin C and fresh cilantro has many health benefits including vitamin C, phosphorus, potassium, zinc, dietary fiber, calcium, iron, and magnesium. Citrus Reamer – make squeezing lemons and limes a breeze! Instant Pot Cilantro Lime Rice can be made really easily in your pressure cooker or Instant Pot, you'll love it! Don't miss the recipe video! You'll find it right after the directions. Please read the recipe notes first. Add un-rinsed jasmine or basmati rice to your pressure cooker along with the chicken broth, salt, and bay leaves. Lock the lid, turn the steam vent to 'sealing' and using the 'manual' or 'pressure cook' button, adjust it to cook for 3 minutes at high pressure. When the cook time time is up allow the pressure to drop on its own (NPR - natural pressure release) until the pin has dropped, about 10-15 minutes. After you open the lid simply stir in the lemon and lime juices, lime zest, and chopped cilantro and stir well. To make this with brown rice simply follow the same ratio of rice to liquid (1:1) as before and do NOT soak the rice. Lock the lid, turn the steam vent to 'sealing' and using the 'manual' or 'pressure cook' button, adjust it to cook for 22 minutes at high pressure. Do not skip the natural release time or your rice may not be fully cooked. We used a gluten free low sodium broth, you could also use vegetable broth or simply use water.